Even though it’s been close to nine years since the DTV conversion (when analog TV signals ceased to exist) and twenty years since the first HD broadcast, there still seems to be a lot of interest in getting high definition television over-the-air. In fact, companies like Dish Network and Sling TV (Sling being owned by Dish) and Amazon (when using their Fire TV device) often promote the use of an antenna to receive local stations over-the-air. This is especially true when there are carriage disagreements between networks and providers (like the current dispute between Dish and CBS), often resulting in a “black out” of a channel or channels until resolved. It’s during these times providers will point to the fact those blacked out channels can be still be watched free with an antenna. One should understand, however, only locally broadcast channels are available. The most common networks that can be found over-the-air include ABC, CBS, NBC, FOX, PBS, The CW, MyNetworkTV and Telemundo, as well as any independently owned stations. You won’t find channels like HBO, ESPN or CNN over-the-air. Here are some pointers on what you need to get started receiving HD and in the future 4k Ultra HD (ATSC 3.0) programming in your home or office using just an antenna, with no paid cable or satellite service required. 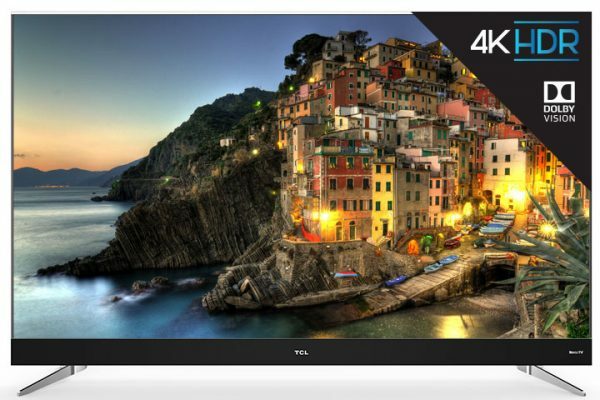 The first thing you need is an HD TV or 4k Ultra HD television set. Most 4k TVs and HDTVs these days have built-in digital tuners, so you probably don’t need an external tuner. However, there are many displays and monitors that may need a set-top-box to tune-in to the over-the-air signals. Older TVs, especially a CRT TV, will likely need a digital converter box to convert the broadcast digital signals to analog. 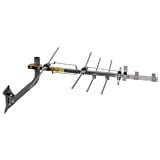 The second thing you need to get HD programming over-the-air is an antenna. 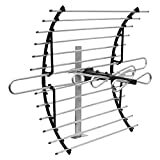 There are many types of antennas for inside or outside your home. A rooftop antenna is usually the most powerful type of antenna (some even rotate to point towards broadcast facilities), but some indoor antennas may work just as well. There are various types including simple rabbit ear antennas, wing shaped, disk antennas, picture frame wall antennas and other types. 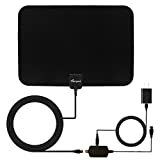 You need to plug the antenna into the 4k TV, HD TV or digital tuner via coaxial cable, then, position it to where it has the least amount of interference. If using a digital tuner you need an additional coaxial cable to plug-in to your 4k or HD display . You’ll probably have to change the input on your TV to “Antenna” or “TV” (wherever the coaxial cable connects) to see the set-top-box interface. Once you’re done connecting the TV and/or digital tuner you can choose “Auto Scan” to find all the available digital channels. The 4k TV, HD TV or digital tuner will store those channels into memory and create a channel guide. If you find that the reception is bad, try moving the antenna to a different location and scan again. Some people find moving the antenna into a different room or near a window can help. Although cable, fiber-optic & satellite TV providers offer a much wider range of HD channels at different prices, getting HD TV over-the-air is an option for those of you who don’t watch much TV, don’t want to pay for TV, or only watch the major networks. There are many TV channels available for free over-the-air, so why not take advantage? Also read How To Cut-the-Cord and Watch Free HD Channels Over-the-Air.